This chess puzzle super-challenge contains 100 fun positions to solve, ranging from encouragingly easy to mind-numbingly hard. Using an innovative format, every puzzle is preceded by an instructive example, illustrating an important pattern. 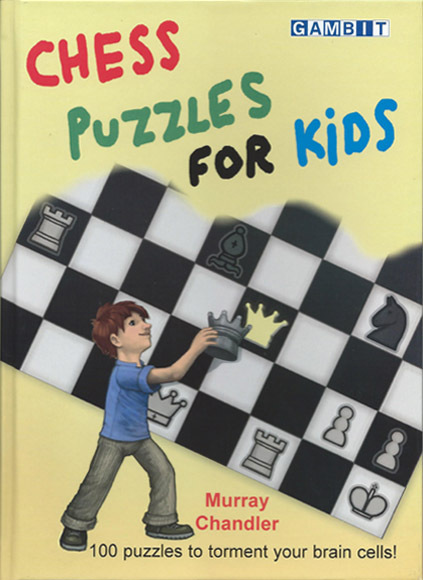 Each puzzle has been graded to suit a wide range of chess abilities. Beginners or younger readers will enjoy reading the basic warm-up exercises. The more experienced can wrestle with some classic puzzles, whilst at the same time learning of typical themes and killer concepts. The final challenging chapters - Mission Impossible - are guaranteed to torment and inspire the most talented of future champions!